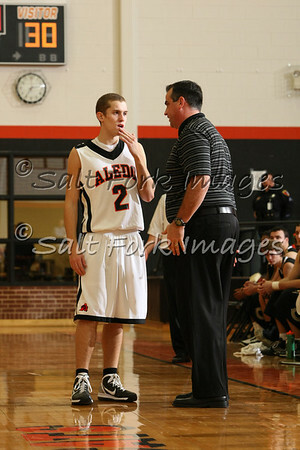 Salt Fork Images: I LOVE Basketball! 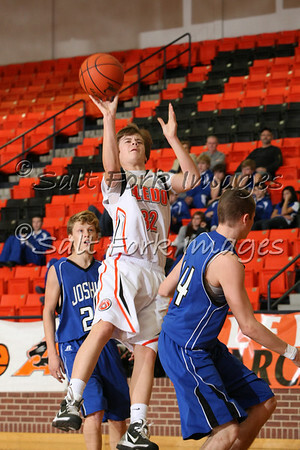 Now that football season is winding down, basketball is my new favorite sport to shoot. 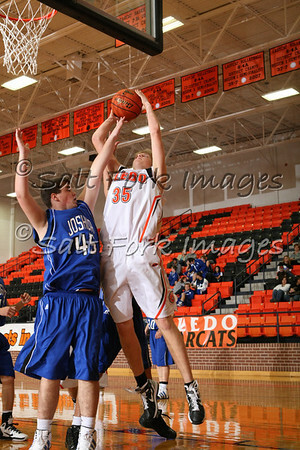 I'll be shooting the Aledo Bearcats and Ladycats again this year and I think I may finally be getting the hang of it. Let me just give you some "how-to" here and then I'll share a few of my recent shots. Lighting is the biggest technical issue in shooting high school basketball because most gymnasiums are horrible. There is either too little light or the light cycles in a way that makes consistent white balance impossible...or both! I've been in a lot of gyms and you just never really know what to expect. But what do you do if there isn't enough light even when you crank up the ISO and open up your lens? Try some flash! I use a couple of AlienBee 800's triggered with a hot-shoe-mounted remote transmitter. These are studio flash units capable of lighting an entire gymnasium. I mount them on light stands and plug them in on the top row above the home spectators. I can then set my ISO to 1600 (reasonable digital noise), my f-stop to 5.6 (reasonable depth-of-field), and my shutterspeed to 1/250th of a second (which doesn't really matter because the flash duration is about 1/5000th of a second.) And, by the way, the color from the AB's is very consistent. White balance becomes a lot easier. So much for the technical stuff. How about technique? 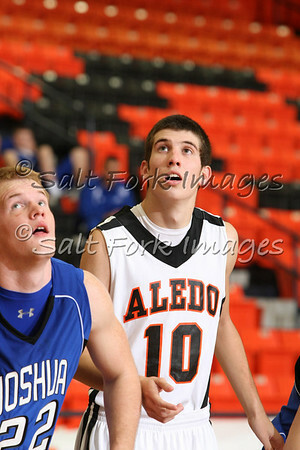 I like to shoot from down low to make the players look taller. I prefer to position myself on the floor along the baseline about halfway between the basket and the corner of the court. This gives me a good view of players coming down the court and of the action under the goal. Watch a college basketball game and look where the photographers are along the baseline. It's a great place to be and occasionally you get taken out by a flying player! Be careful. It's also a great place to witness the "other side" of the game. The refs have a lot more fun out there than you think. I have two lenses that I like to use: the 70-200mm f/2.8L and the 24-70mm f/2.8L. The 70-200 gives me the ability to zoom in on the players coming up the court as they dribble and pass. I usually shoot part of the game with that lens and then switch to the 24-70 to capture more of the action under the basket. 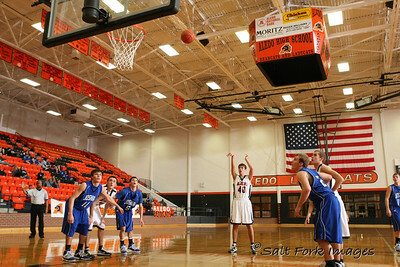 The wider lens allows me to capture the full height of the action from the floor to the basket. Check out these examples. 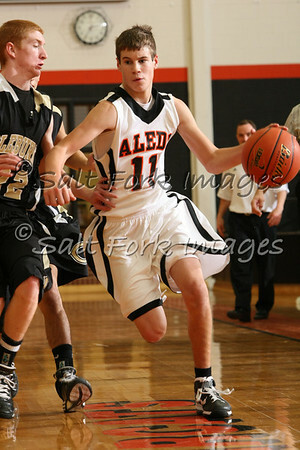 I LOVE BASKETBALL! One more thought: If you don't have strobes or high ISO capability or fast lenses, you can still get cool basketball shots. Look for opportunities when the action slows down. Here are some examples. Let me know if you have any questions. You can reach me at jalbritton@mesh.net.